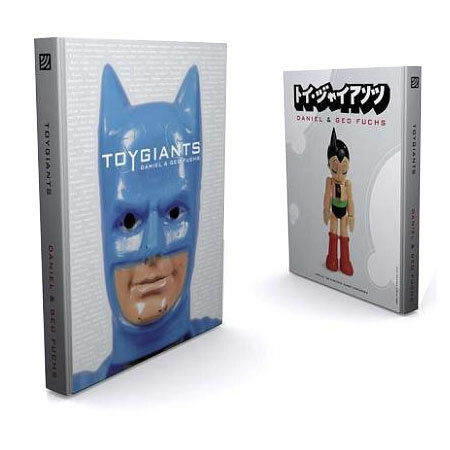 The explosive new BUDs (Blow Up Dolls) Series 2 features designs by Kozik, Horkey, Dalek, Meomi, Destroy Rock City, Gunsho, Little Friends, John Pound (Garbage Pail Kids artist), MCA, Jermaine Rogers, Bobby Dixon, VanBeater, Muttpop (Gobi), & Ferg.! Produced by Jamungo. Awesome figure by Hong Kong artist and toy designer Winston Ma (formerly of Brothersfree). Adam Ape's head is removable to show his skull. Check out the details, such as the airbrush and the miniature toy ape in Adam's hands... Each piece come with a signed and numbered certificate. 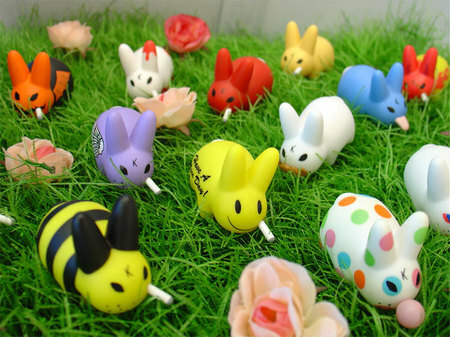 Frank Kozik's mini Smorkin' Labbits are baaaaaaack ! This is Series 3 and the designs are crazier than ever ! Sold in random blind box or as an accessory (cellphone strap or keychain). 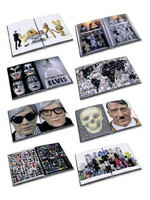 Amazing coffee-table book ! 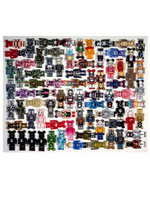 Contains large photographs by Daniel and Geo Fuchs of Selim Varol's impressive toy collection. 216 pages, 180 color illustrations incl. 5 foldout pages. Hardback in vinyl dust jacket, 25 cm x 32 cm. 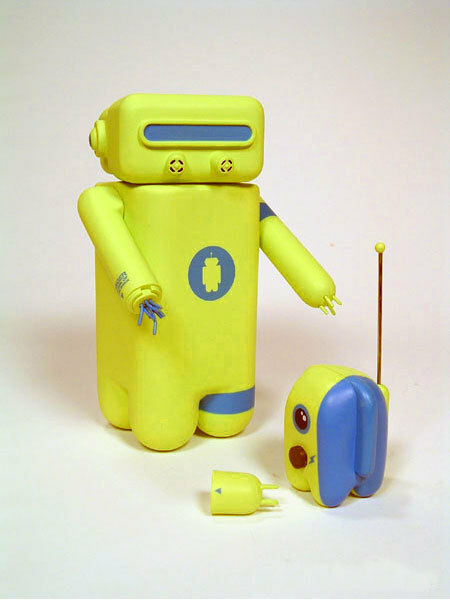 Kinki Robot is proud to present master figure artist Coolrain !! 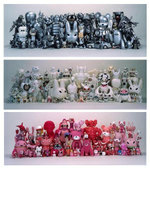 Some of Coolrain's latest figures are now on display at Kinki Robot's Shinsa store. If you have never seen these incredibly detailed hand-made pieces before, this is your chance ! 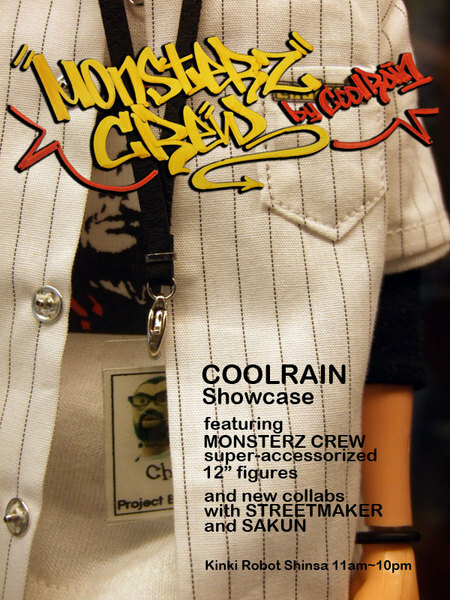 Coolrain works in the so-called "action figure", "12-inch" or "1/6" format. His charismatic Monsterz Crew characters all come with complex accessories (b-boy style) and a street-wise attitude that make them the coolest posse around... 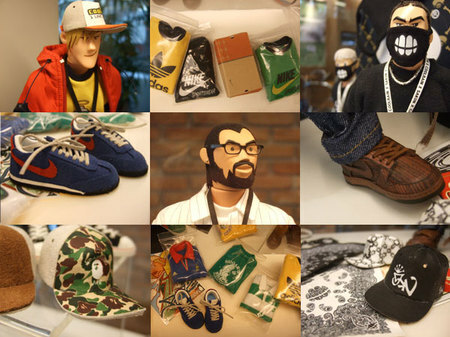 Check out the miniature replicas of sneakers, t-shirts, caps and jewellery by famous brands as well as collaborations with Streetmaker and Sakun. Monsterz Crew figures are sold individually. Price upon request. Motomichi Nakamura was born in Tokyo, Japan. After graduating from Parsons School of Design in New York he moved to Ecuador where he started working as an artist. He returned to the U.S. in 2000 and currently lives and works in Brooklyn. His digital animation work has been exhibited at the New Museum of Contemporary Art in NYC and has appeared in the Sundance and the Onedotzero film festivals. He has performed his live video/animation mix at the Museum of Modern Art in NYC and at other recognized venues in the U.S. and Europe. Recent collaboration work includes music videos with Swedish band “The Knife” and with Otto von Schirach. 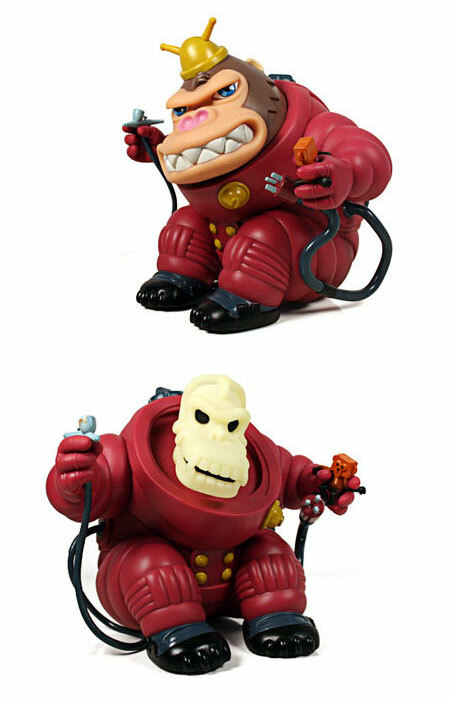 Chaz & Daz are his first vinyl toy release. Produced by Android 8. 15 cm / 11 cm high. Set. For Issue S, Beautiful/Decay conjures up the dark arts to present an enigmatic mix of fine art, design, street art and music that is inspired by black magic, the occult, mayhem, the iconography of death and all things sinister. 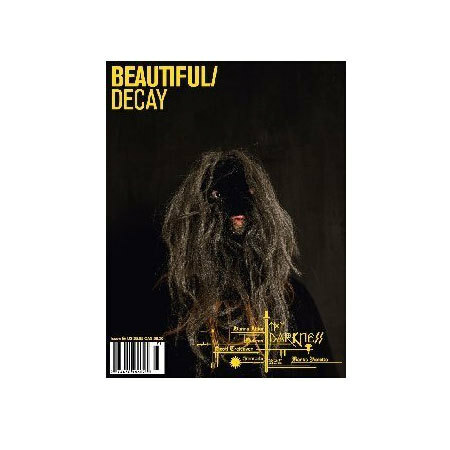 For their first issue of 2007, Beautiful Decay have decided to break the mold of a themed issue and instead are featuring a brilliant group of artists whose work stands on its own. Issue Q is a masterful collection of some of Deitch Projects most provocative and influential artists, affiliates, designers, musicians, and fashion designers. In Issue O, you ll find the psychedelic paintings and drawings of cover artist Erik Parker, the inquisitive typology of photographer Anthony Hernandez, and digital renderings from artist Ben Volta. Issue: N of Beautiful/Decay features an eclectic range of artists who all have their own vision of beauty and mode of expression. The Devil Kubrick by Devilrobots and Medicom celebrates the 10th anniversary of designer duo Devilrobots. 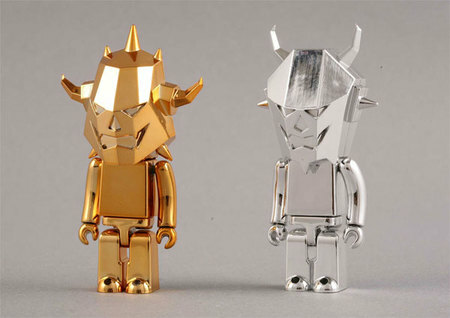 For the occasion, Devilrobots' mascots are given the silver and gold treatment, insuring them instant classic status ! 9 cm high / Set. To-Fu 시리즈와 Evirob로 유명한 데빌로봇이 메디콤과 함께 10주년 기념 데빌 큐브릭을 선보입니다. 데빌로봇을 대표하는 두가지의 마스코트로 디자이된 이번 큐브릭은 금색과 은색을 사용하였습니다. 기존 베어브릭13,14의 베이직에 열광하시던 분들이라면 좋아하실만한 큐브릭입니다. 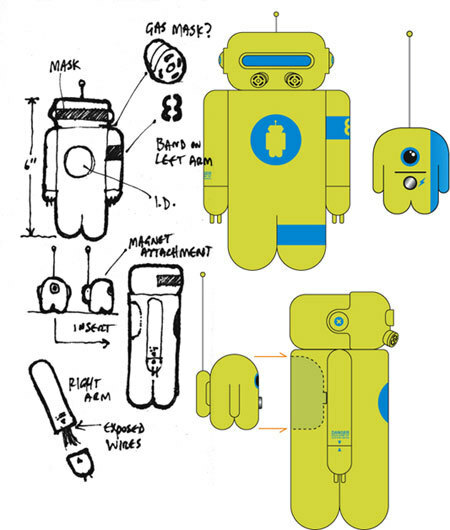 Designed by Unklbrand, Octopo comes with an independent "communication center" that is also his best friend ! One of Octopo's hand can also be removed to reveal electric wires. Cutting-edge vinyl produced by Android 8. 14.5 cm high / Contains magnetic parts. 언제나 참신하고 새로운 토이를 선보이는 DKE에서 Octopo를 새롭게 선보입니다. 디자인을 한 Unklbrand 는 Derek Welch 와 Jason Bacon 이 2002 설립한 회사입니다. 현재 아트토이와 의류등을 디자인하고 있습니다. 로봇의 모습을 유머와 위트로 표현했습니다.